Madam Noor Jehan's 92nd birthday. Allah Wasayee was born on 21st September 1926 in Kasur, Punjab. The world knows her for the infamous, legendary Madam Noor Jehan, also known as the ‘Queen of Melody‘, she was a Pakistani playback singer, along with being a phenomenal actress. Her career spans out for more than six decades, from the 1930s till the 1990s. She initially began working in British India, then after separation, continued her career in Pakistan. During her era, she was renowned as being one of the greatest and most influential singers of all time and was therefore given the honorary title of ‘Malika-e-tarannum‘. She had great command over Hindustani classical music alongside other musical genres. She has the privilege of holding the record of singing the maximum number of film songs in Pakistani cinema and is estimated to have made more than 40 films and sung about 20,000 songs during her career which lasted for more than half a century. She is also credited with being the first Pakistani female film director. The prolific singer unfortunately passed away on the 23rd of December, 2000, aged 74 years, after a heart failure and is buried in Gizri Graveyard, Karachi, Pakistan. Jehan’s acting career lasted for 33 years. ‘Chan Wey‘ in 1951 was her first Pakistani movie, where she debuted not only as an actress, but also as a director and singer. In this movie, she acted alongside ‘Santosh Kumar’ and directed it with ‘Shaukat Hussain Rizvi’. She continued to act in several other movies which were a huge success, yet had to give up her acting career in 1963, due to the pressure of being a mother of 6 children and the demands of being a wife to another fellow actor. In total, she starred in 14 Pakistani films, ten in Urdu and four in Punjabi as a film actress. Then the great Noor Jehan, took up playback singing for which she has received numerous awards including the Pride of Performance award in 1965 by the Pakistani Government. She has sung various songs in Urdu, Punjabi and Sindhi. More fame was added to her singing stature when she sang motivational and inspirational songs in the 1965 Pak-India war. Some of her best songs include: ‘Hamari Sansoon Mein’ ‘Chandni Raatein’; ‘Aye Watan Ke Sajelay Jawanon’ amidst many others. 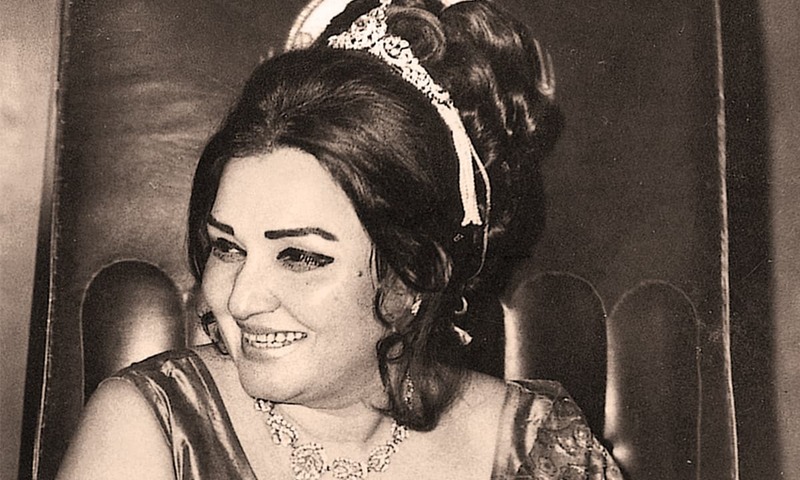 The evergreen and extremely talented Noor Jehan has been a personality unmatched ever since she came into this industry, because no other celebrity could ever match her talent and although she is not present in this world today, she lives through her songs. So today, on the 21st of September, we graciously celebrate the existence of such a beautiful and special person.